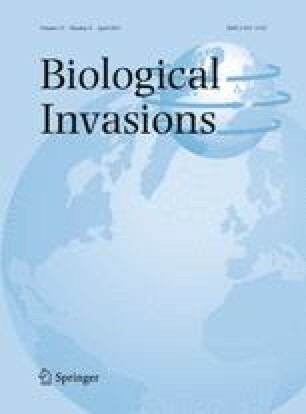 International trade is widely acknowledged as a conduit for movement of invasive species, but few studies have directly quantified the invasion risk confronting individual locations of interest. This study presents estimates of the likelihood of successful entry for alien forest insect species at more than 3,000 urban areas in the contiguous United States (US). To develop these location-specific estimates, we first utilized historical merchandise imports and insect incursions data to estimate an annual US rate of alien insect species establishment. Next, we used historical pest interception data to calculate the proportion of all insects arriving at US ports of entry that are associated with forest hosts. We then combined these results to estimate a nationwide establishment rate specifically for alien forest insects. Finally, we employed international and domestic commodity flow networks to allocate this nationwide rate to individual US urban areas. For 2010, we estimated the nationwide rate as 1.89 new alien forest insect species per year. While the establishment rates observed at most urban areas were low (<0.005 new species/year), for a few select areas the rates predict new alien forest insect species establishments every 5–15 years. This national-scale assessment provides a realistic depiction of human-assisted establishment potential in the US as well as functional inputs for quantitative models of invasion. Overall, these analyses support broad-scale biosecurity and management strategies. We thank Ke Chung Kim (Pennsylvania State University) for access to NANIAD; Joseph Cavey for access to the PestID data; and Eva Kassens, Janice Molloy, Kathy Stansbury, Daniel Simberloff, and an anonymous reviewer for providing comments to enhance this manuscript. This work was supported by Research Joint Venture Agreement 08-JV-11330146-078 between the US Department of Agriculture, Forest Service, Southern Research Station, Asheville, NC and North Carolina State University (Frank Koch); Natural Resources Canada, Canadian Forest Service (Denys Yemshanov); US Department of Agriculture, Cooperative State Research, Education, and Extension Service, National Research Initiative grant 2006-55605-16658 (Manuel Colunga-Garcia).